Janet's Memory Line features custom made to order gowns. Looking for a specific style or wishing to make alterations to a dress? 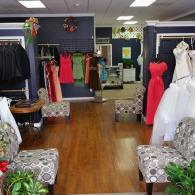 Janet's Memory Line can design a wedding or formal dress to fit your vision. Contact us today for more information.